Are you searching for a new 2013 car that is economical to keep, good on gas and cost less than $14,000? 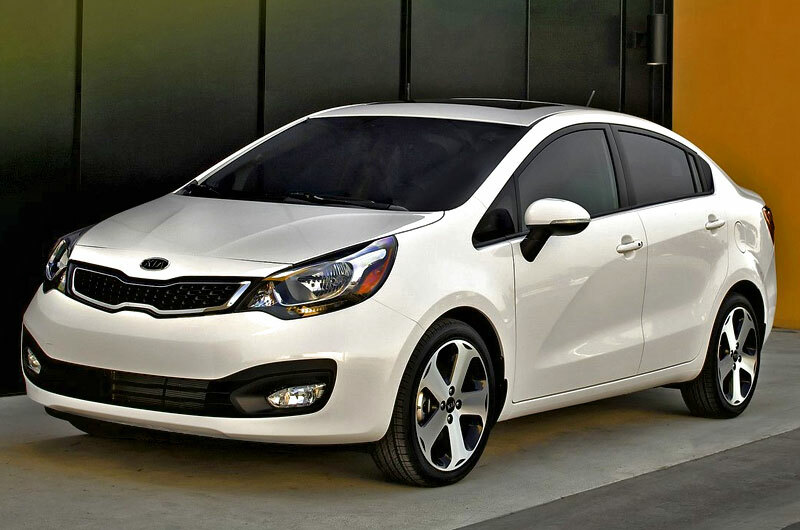 This time we are going to recommend you the Kia Rio, a small vehicle that isn't only cheap but also comes this year with a sportier and even more aggressive design, a very outstanding fuel efficiency and the inside comes with a variety of equipment and features of great importance, that influence when making a decision on buying a vehicle. 2013 Kia Rio Sedan — The bold and distinctive personality of the new Rio represents a complete change from its predecessor and fits perfectly into the family revitalizing the Kia product line. 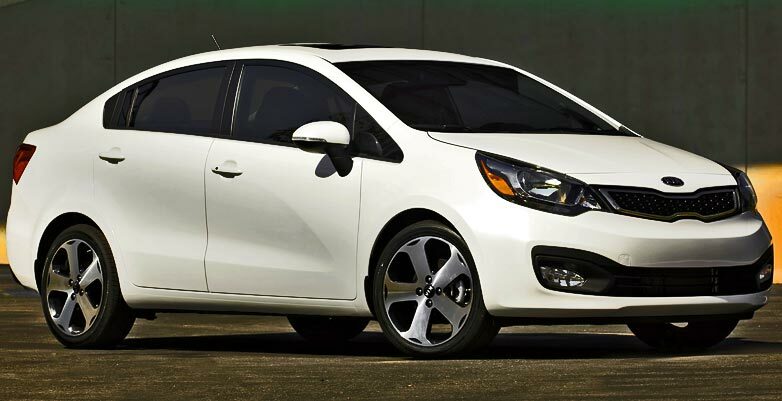 The Kia Rio 2013 comes equipped with a 1.6L 4-cylinder engine, powered by a GDI direct injection system. It is able to develop a power of 138 horsepower and 123 lb-ft of torque. It also has the 'Idle Stop & Go' system with which achieves to minimize the fuel consumption, since it turns off the engine at the times when the vehicle is not in motion. The interior was completely redesigned with the aim of offering a modern and spacious atmosphere, with materials and finishes that previously we could not conceive in a vehicle of this segment. Seats are comfortable and with easy adjustment, but are not too wide. 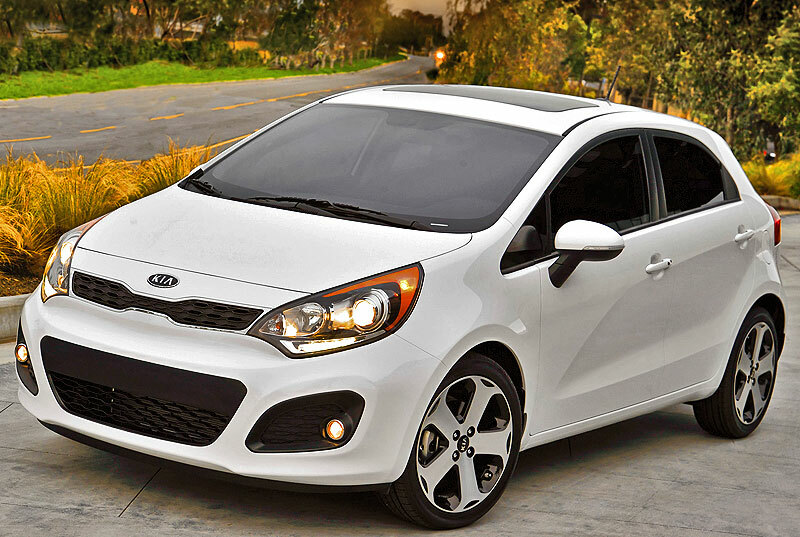 The Kia Rio has become an excellent choice in the compact cars segment. Your competition is fierce with the Honda Fit, the Hyundai Accent and the Ford Fiesta at the head. Both models, the sedan and the hatchback have the same fuel economy range miles of 28 within the city and 36 on highways. Its performance is smooth for a subcompact, although with some engine noises. Sincerely, there are few flaws that may be mentioned on this vehicle, and within the automotive world is one of the leading on its segment. The Rio is offered in both four-door sedan and hatchback body style. They have identical engines, as well as their interior components, although the hatchback offers more utilities, especially for being a family car. Compared to previous models, the Rio 2013 is more spacious and more stylish inside and out. It is also more powerful and has a better fuel efficient. 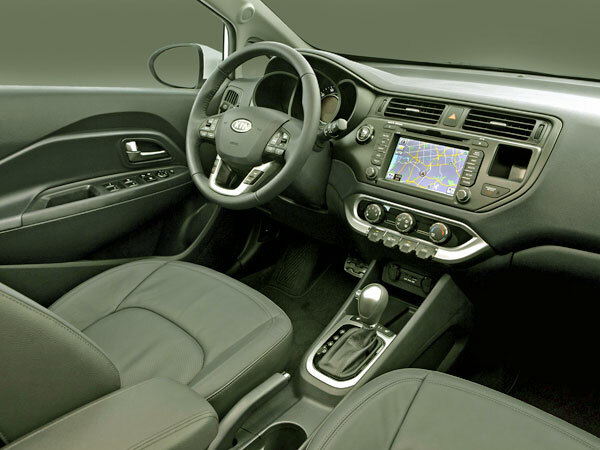 The base model has many standard accessories such as air conditioning, tilt steering and a stereo with satellite radio, auxiliary input jack, USB / iPod interface, Bluetooth wireless technology, 6-way adjustable driver seat, rear disc brakes, hill-start assist control, dual body-colored power heated mirrors, tire pressure monitoring system, etc. The Kio Rio platform comes from the Hyundai i20 and has traditionally been the cheapest model of the manufacturer. In its first generation, the Rio represented an affordable vehicle for easy transport around the city. The latest generation of this model is another step forward thanks to its evocative style, peppy engine and its comfortable and spacious interior. Kia has created a vehicle that responds to the demand for more quality, more options, and does so with an attractive and exciting design, without compromising its interior space. - Rio 1.6 LX GDI 140 hp. available for a starting price of $13,400. - Rio 1.6 LX GDI 140 hp Auto available for a starting price of $14,500. - Rio 1.6 EX GDI 140 hp Auto available for a starting price of $16,300. - Rio 1.6 GDI 140 hp SX Auto available for a starting price of $17,500. Kia Motors was founded in 1944 as a manufacturer of steel tubing and bicycles. After the Korean crisis of the late '90s, the company became part of the Hyundai group. The group is the fifth largest producer of automobiles. Kia Motors is currently present in more than 100 countries. $13,600 is a great price for such a beautiful car, Kia has been doing a great job these latest years and I think soon their vehicles prices are going to increase at the level of Honda, Toyota and Nissan. If you look at this video made by the AutoTrader staff about the Rio Hatchback on the street, you will fall in love with it. 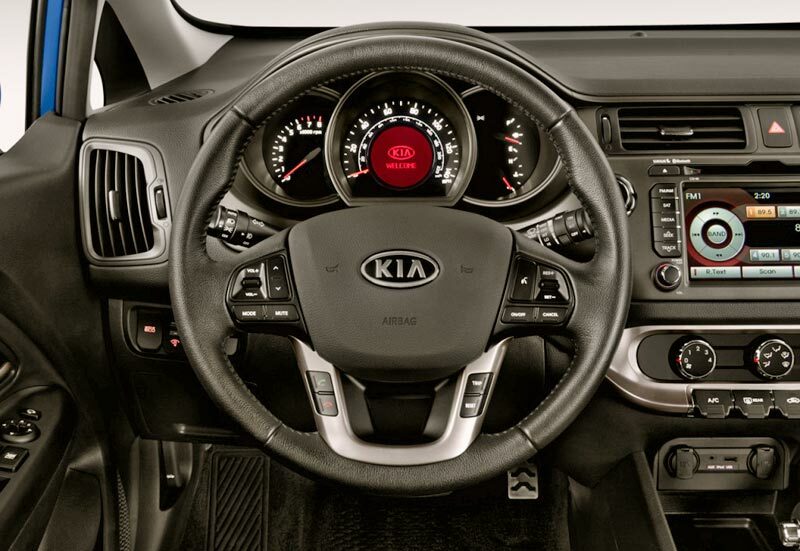 According the them, this Kia is sleek, sporty and better built than ever. It looks more attractive than some Toyotas and Honda of its class and is the cheapest one between them besides its great fuel economy which achieves up to 40 MPG on highways, etc. We have to face that we are on a time that Kia and Hyundai will give us the most value out of any other car company these days. For those who are thinking in buying a used car because they can't afford a new one, should give a chance to any of the Kia model, most of them are super affordable. A for Kia. More-powerful engines and upgraded interior design just under $14000. It is great deal for any customer.